Can we now stop hearing people talk about how he has a special bond with lions? Sheesh. Kevin Richardson says he loves his cats however, we feel that what he does is not only dangerous but is incredibly irresponsible and selfish. What he does sets a horrible example. With his WORDS he says big cats are not pets but with his ACTIONS he makes people want to touch and play with big cats, and their babies. People pay more attention to actions than they do words. 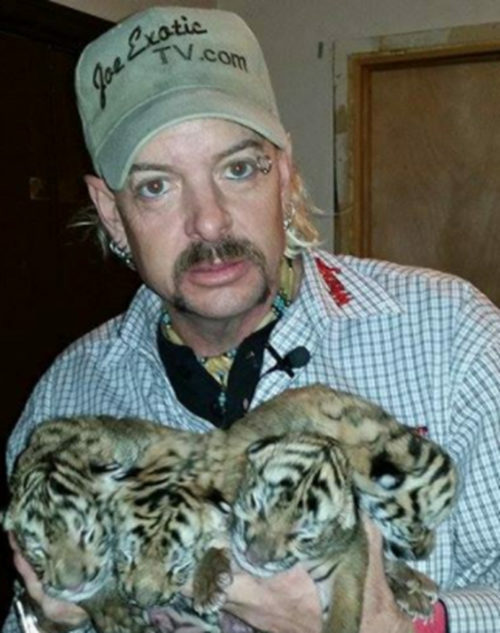 When people see facilities or exhibits that pimp cubs out for petting and photo schemes they will pay to participate in those because people like Kevin Richardson make it look like so much fun. They want people to think they are a “Lion Whisperer” too. Facilities in Africa that pimp cubs for petting and photos like that sell them to canned hunts when they are too big to be used that way. That means many of those cubs end up suffering the same fate that Cecil Lion did. In America, and other countries, the bad guys breed a steady stream of big cat cubs to be pimped out for the public to pay to play with. When those cubs get too big to be used like that their futures are pretty bleak. 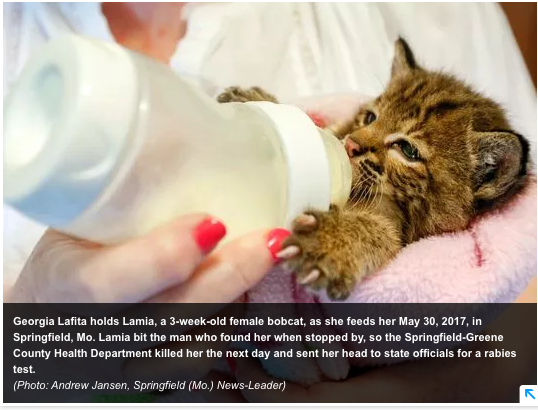 In Springfield, Missouri a three week old bobcat kitten was found. The man took her to a rehabber there. The man who brought her to the rehabber ignorantly stuck his hand in her crate. The terrified little bobcat kitten bit him. Six days later, the Missouri Greene County Health Dept. stepped in, took the kitten, killed her, cut off her head, and sent her brain out to be rabies tested. The kitten did not have rabies. Big Cat Rescue did everything they could to prevent it and many of their fans spoke out in an effort to save the healthy bobcat kitten. BCR offered to pay for the thousands of dollars in rabies shots, if the man would take them instead of having the kitten killed. Sadly in the end, the precious little kitten lost her life because a human just had to stick his hand in with her because the law stated that ANY time an exotic animal was involved in a bite, they must be killed and tested for rabies. There is no quarantine time, like in dogs and cats, because no one has ever studied the incubation time of rabies in exotics. 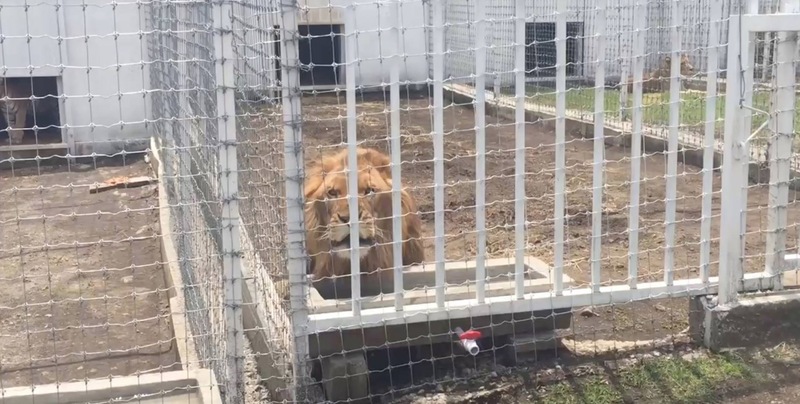 Big Cat Rescue will not risk the lives of the cats there for a selfish desire to touch them. They are also are committed to ending the suffering of big cats and their babies and believe firmly that setting an example by actions, not just by words is important to achieve that goal. By comparison, Kevin Richardson has failed to speak out in favor of the Big Cat Public Safety Act.